With the help of Kitchen Gardeners International a petition was immediately created with the hopes to create media attention and put pressure on the town officials to allow the Beauchamp to keep their garden. 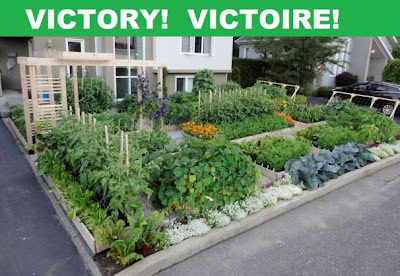 Earlier this week, after the intense pressure from the international media the town officials reversed their decision and allowed the Quebec couple to keep their front yard garden. In fact, town officials were so impressed about the positive reaction the garden had on people that they have invited Josée Landry and Michel Beauchamp to help shape the city's new guidelines for urban food gardens. 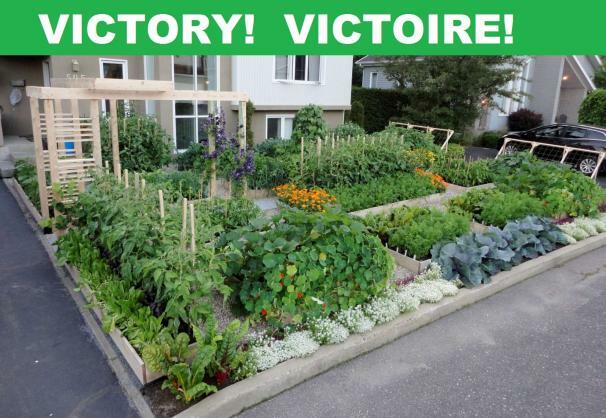 "It will now be allowed to Drummondville this type of garden in the front yard. However, this practice should be coaching, "announced Mayor, Francine Ruest Jutras.